A unique fighter who broke away from the traditional and familiar styles of the 1940s and 1950s, Patterson was taught the rudiments of boxing by the enigmatic Cus D'amato. A paranoid, middle aged man whose ramblings veered between prophetic and delusional. 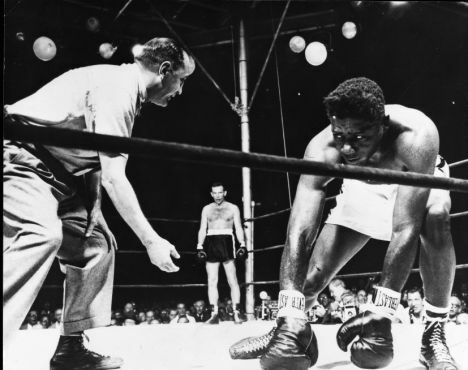 Using what D'amato called a 'tight defence', Patterson's style would come to be dubbed the 'peek-a-boo' style of boxing. In the course of reclaiming his title, Patterson and D'amato would go from a perfect pairing to begrudging partners in a business venture. Both Patterson and D'amato would find redemption but decades apart. Patterson's ludicrously fast cross counter over the top of Henry Cooper's jab. Patterson finishes Johansson in their second fight to reclaim the title. This was perhaps the finest performance of Patterson's career.